Best Known for: Harry Porter Series. were friends with neighborhood children, Ian and Vikki Potter. In 1974, the Rowling family moved yet again, this time to Tutshill, near the Welsh border-town of Chepstow in the Forest of Dean and across the Severn River from the greater Bristol area. Rowling admits to having been a bit of a daydreamer as a child and began writing stories at the age of six. After leaving Exeter University, where she read French and Classics, she started work as a teacher but daydreamed about becoming a writer. One day, stuck on a delayed train for four hours between Manchester and London, she dreamed up a boy called "Harry Potter". That was in 1990. It took her six years to write the book. In the meantime, she went to teach in Portugal, married a Portuguese television journalist, had her daughter, Jessica, divorced her husband and returned to Britain when Jessica was just three months old. She went to live in Edinburgh to be near her sister, Di. Her sudden penury made her realize that it was "back-against-the-wall time" and she decided to finish her "Harry Potter" book. She sent the manuscript to two agents and one publisher, looking up likely prospects in the library. One of these agents that she picked at random based on the fact that she liked his name, Christopher Little, was immediately captivated by the manuscript and signed her on as his client within three days. 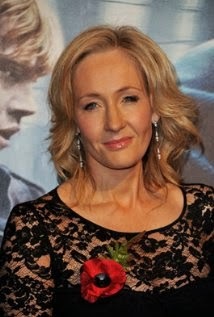 During the 1995-1996 time-frame, while hoping to get the manuscript for "Harry Potter & The Philosopher's Stone" published, Rowling worked as a French teacher in Edinburgh. Several publishers turned down the manuscript before Bloomsbury agreed to purchase it in 1996. Usually sets stories in Maine, particularly (until "Needful Things") in the small town of Castle Rock, which he created. 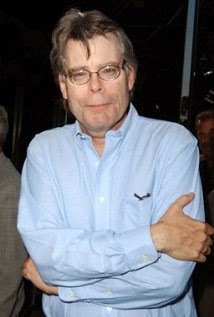 Most of his lead male characters are writers Almost always has a cameo in the movies or mini-series based on his novels Makes references to his previous novels in his books Horror and fantasy themes Supernatural events happening to everyday people Indian burial grounds Uses single words or phrases as foreshadowing ("Redrum" in The Shining) Children in his books often are killed such as Tad in "Cujo", Gage in "Pet Sematary", Ray Brauer in "The Body") Many of his earlier works gave life to inanimate objects, turning them into homicidal monsters. Often depicts small-town life, particularly in the fictional Castle Rock, as having a dark and dangerous underside to it. Stories about small town communities facing a supernatural force. Common theme is characters being isolated or trapped from the outside world. George R.R. Martin was born on September 20, 1948 in Bayonne, New Jersey, USA as George Raymond Martin. 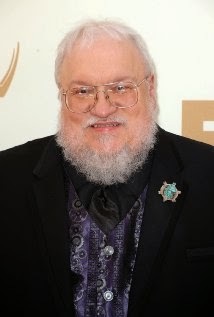 He is a writer and producer, known for Game of Thrones(2011), Beauty and the Beast (1987) and Game of Thrones(2012). He has been married to Parris McBride since February 15, 2011. 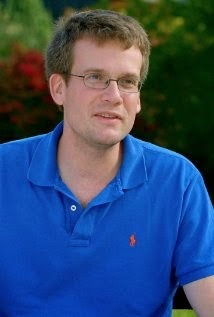 John Michael Green was born on August 24, 1977 in Indianapolis, Indiana. He is a YouTube video-blogger, or "vlogger", with his brother, Hank Green. Their YouTube channel, Vlogbrothers, has over 1,880,000 subscribers as of March 2014. Perhaps more notably, John is also an author. His most recent book, released in January 2012, was adapted to film in The Fault in Our Stars (2014). John and his wife Sarah have two children together, a son named Henry, and a daughter named Alice. The family resides in Indianapolis, Indiana. Alongside his brother, Hank Green, John started an annual YouTube conference called "Vidcon" in 2010. Starting at only 1,400 attendee's in 2013 there were over 12,000 in attendance of the weekend long conference which celebrates the online video viewers, creators, and industry representatives worldwide, drawing thousands of attendees. 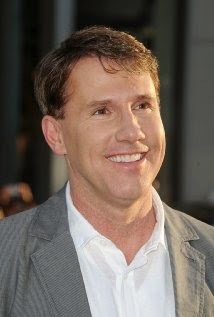 Nicholas Sparks was born on December 31, 1965 in Omaha, Nebraska. He graduated from the University of Notre Dame in 1988 and is one of the more critically-acclaimed authors of the past 5 years. He is the author of 5 best-selling books, including "The Notebook" and "The Rescue". Four of his books, Message in a Bottle (1999), A Walk to Remember (2002), The Notebook (2004) and Nights in Rodanthe (2008), have been adapted into blockbuster movies. Sparks lives in North Carolina with his wife, 3 sons, and twin daughters.